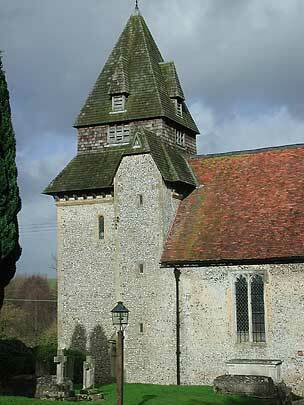 Entirely of c.1200, and made more showily Norman in the 1860s by Woodyer. 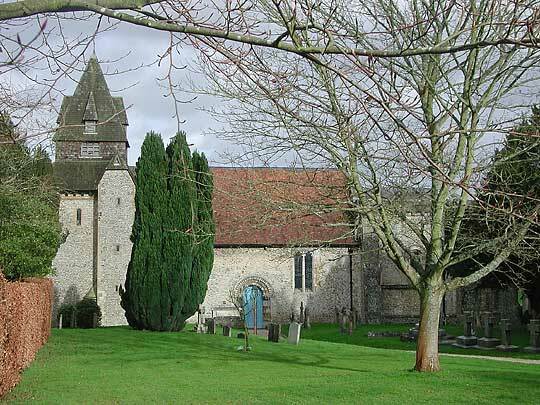 The picturesquely outlandish W tower with its shingled top parts must be his, except for the lower parts, including the arch towards the nave, which takes us to c.1200: unmoulded pointed arch. 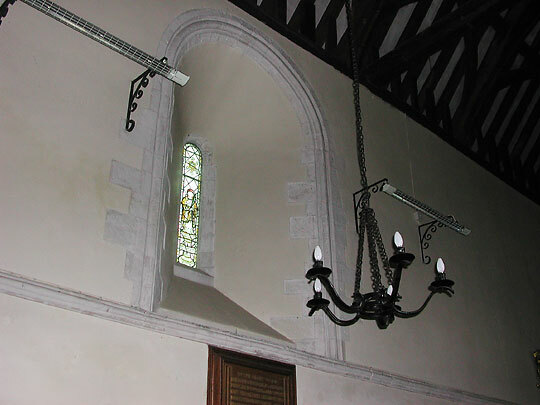 Above it round-arched doorway into the former nave roof. But these motifs will hardly be noticed, so strong is the impact of the chancel. 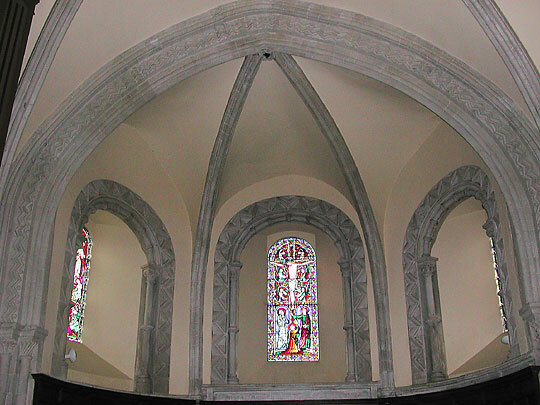 It consists of a rib-vaulted square bay and a rib-vaulted apse. Finely moulded ribs, simple bosses. Between chancel and apse an arch of four orders of slender shafts with typically late C12 capitals. Zigzag in the arch. 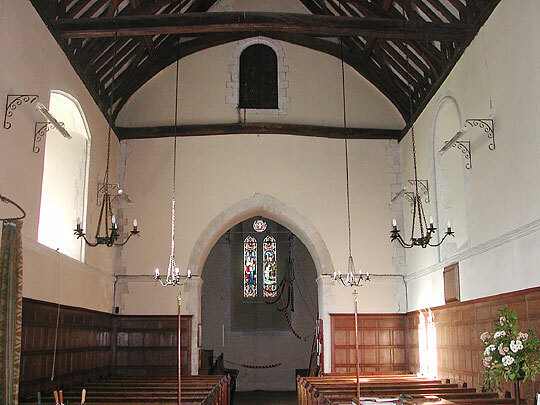 The chancel has in addition a W arch. 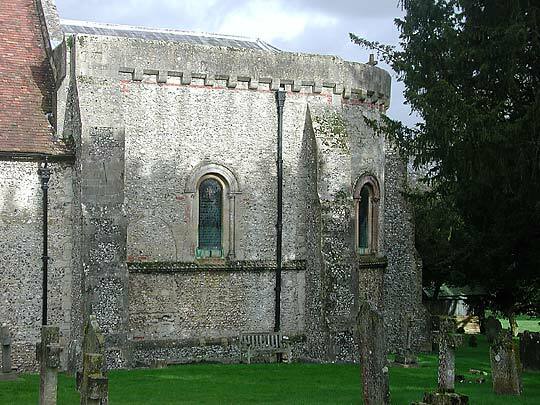 This has daintily shafted responds including some keeling and capitals with waterleaf. The arch with keeled rolls has rather caved in. 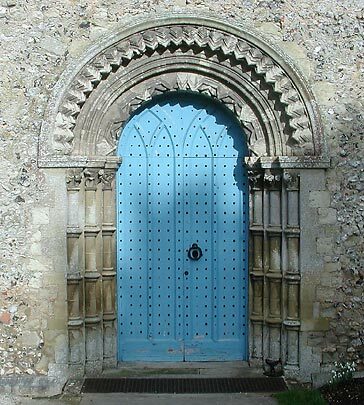 The nave has a S doorway with Norman decoration (e.g. three shaft-rings round the shafts), nearly entirely Victorian, and a simpler N doorway. 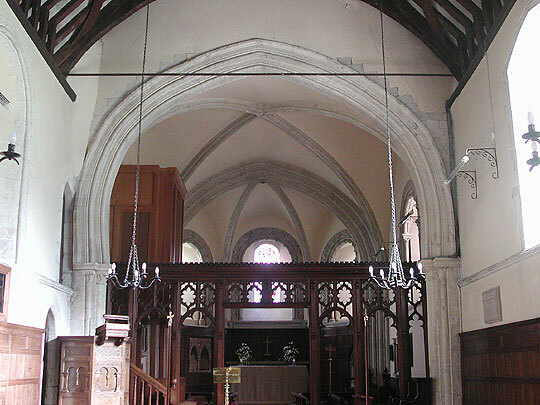 The position of the doorways midway down the nave is unusual. 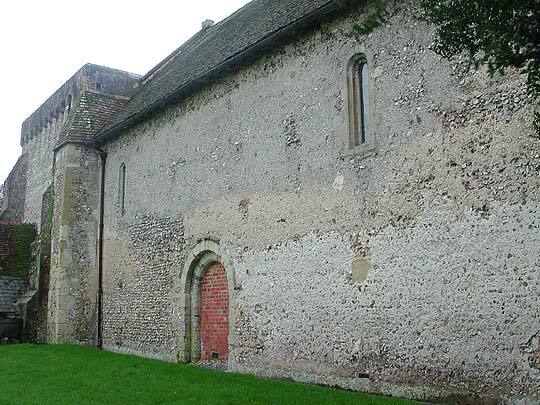 Also two Norman N windows, small outside, but large and provided with a continuous keeled roll inside.